UK pork exports were worth £290 million to our economy last year, reaching over 80 export markets. This new agreement is expected to be worth more than £50 million over the next five years. The eagerly awaited deal has been secured by the UK government, working with the Agriculture and Horticulture Development Board (AHDB) and UK Export Certification Partnership (UKECP). Exporters can take advantage of the market as soon as the administrative listing process is completed and export certification is made available. It follows a number of recent successes for UK food and drink exports, which reached a record level of £22 billion in 2017. Last month, China lifted its two-decade long ban on UK beef exports following the BSE outbreak. The agreement will allow official market access negotiations to begin, estimated to be worth over £250million in the first five years alone. "Access to this new market in Taiwan is great news for our farmers and producers and gives a welcome boost to the pork production industry - already worth £1.3 billion to the UK economy. "This is a significant development for pork exporters and reinforces our reputation for producing high quality food and drink, guaranteeing quality from farm to fork." 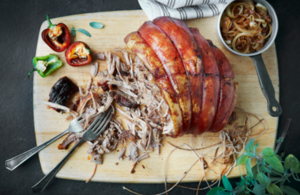 "Following years of hard work by UK government, the opening of the Taiwanese market to British pork will bring significant benefits to UK pork exporters. This follows a record level of UK food and drink exports last year. "This only goes to highlight the UK’s world-famous reputation for high-quality produce, and we are committed to maintaining those high standards as we leave the EU next spring." "We estimate the value to the UK to be in excess of £50m based on current UK export capacity but if this were to rise to match the strong demand for pork imports in Taiwan, where last year alone imports rose by 26% to US$178.3m, the opportunity could be worth more than £100m over the next five years. "This is an exciting development and a great step forward for the UK and Taiwan."